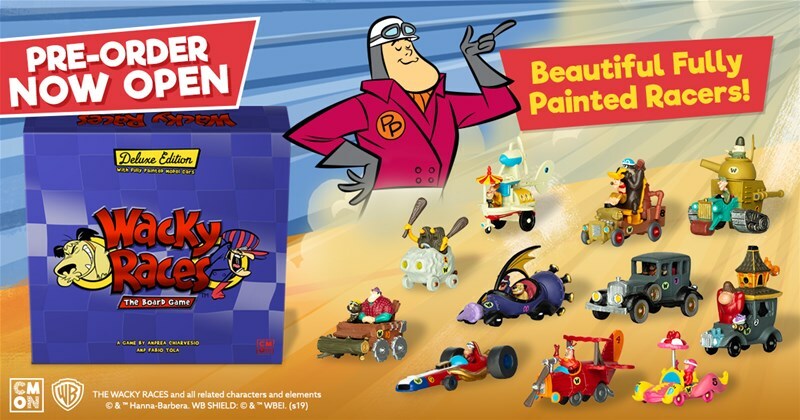 Wacky Races, the beloved Hanna-Barbera cartoon, is making its way to your tabletops. 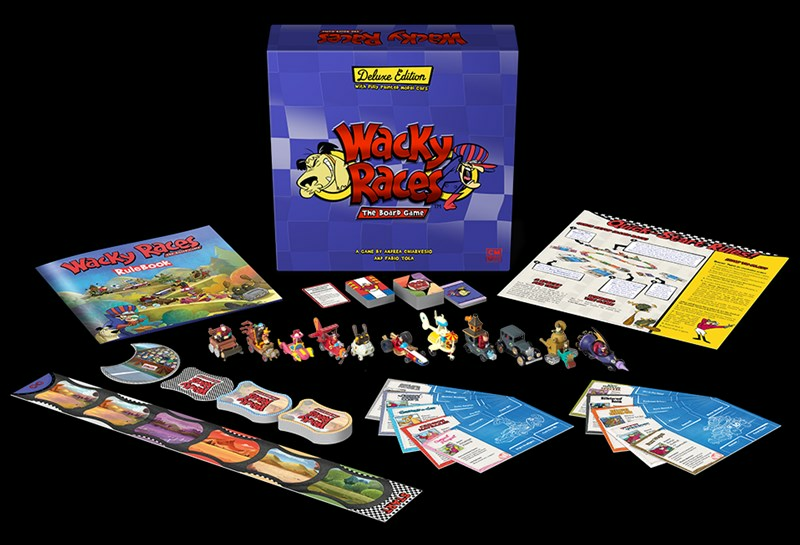 CMON has started taking pre-orders for the deluxe version of Wacky Races: The Board Game. This version includes pre-painted versions of the 11 Racer figures, as well as redesigned player dashboards, and thicker, punchcard terrain tiles. The pre-order is limited, so hurry over now.